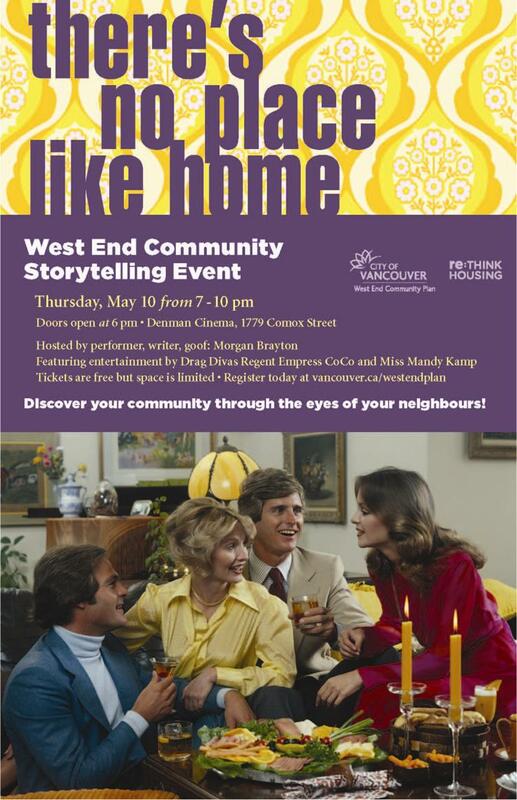 Here is an example of an event organized by the City of Vancouver in 2012 as part of the community plan process. Have your say about the West End Community Plan at these City of Vancouver Events. Tickets are free but space is limited. Register today here. Post and distribute this City Open Houses May 2012 poster. For more information about the planning process, see the Official City website.